Within the past two weeks, I’ve made this recipe about seven times. No kidding. What is that about seven dozen, 84 muffins? I didn’t eat half of them, but about one third of the disappearance of that stash is probably due to me. Although these muffins are delicious, they’re not much on the looks department. They could be mistaken for a bran muffin, but they definitely aren’t bran muffins. How many times have we said that it’s what is inside that really counts? Well, the same applies here. There is just enough cinnamon and the sugar is light enough where you won’t feel guilty after eating one, or in my case two or three. 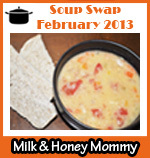 I serve these to the children for breakfast with a side of fruit or some scrambled eggs, or as a mid-morning snack. They have also certainly come in handy when I’ve rushed out to church on an early Sunday morning. Preheat the oven to 400 degrees. 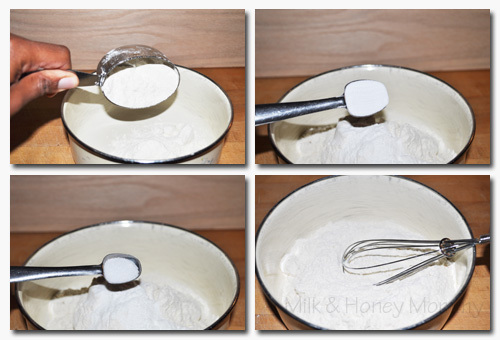 Place the flour, baking powder, baking soda, and salt in a small mixing bowl and whisk together. Set aside. Okay, don’t try this at home. I didn’t leave the butter out to reach room temperature (it’s so darn cold), so I zapped it in the unforgiving microwave. It accomplished the task, but I’ve been trying to move away from it’s convenience. Whether you zap it or let it sit out, once ready, add it to your mixing bowl. 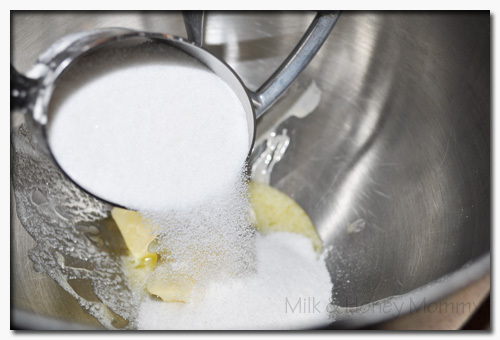 Mix the butter and sugar until well blended. Plain and simple. These are why I’m not a vegan. and vanilla extract and mix well until blended. 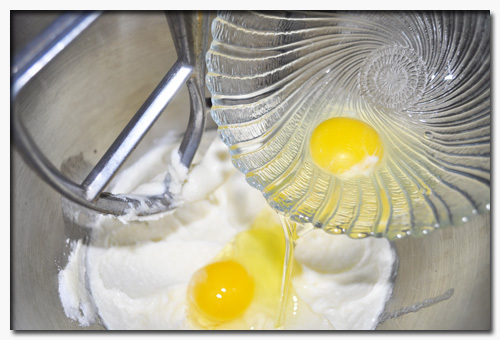 Dump the dry ingredients into the mixing bowl and blend well. Grab a small bowl and make the cinnamon ripple by first adding the brown sugar. Before adding the butter, cut it into pieces. 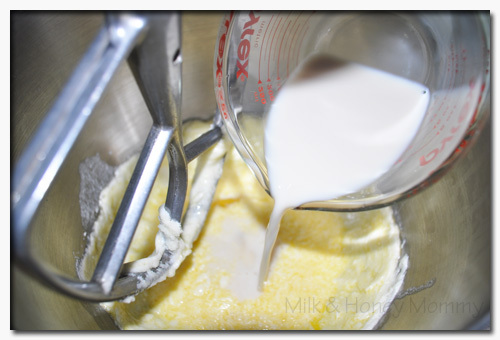 It should be straight from the refrigerator so the ripple will sturdy once mixed. Add the flour and cinnamon. 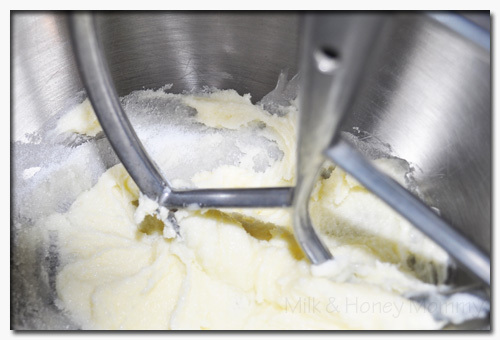 Blend the ingredients with a hand mixer. 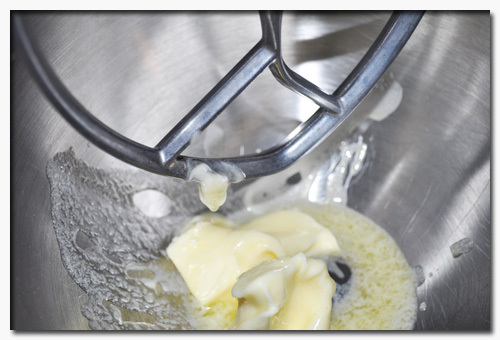 Make sure it is mixed well, but if a few chunks, because of the hard butter, remain, then that is fine too. 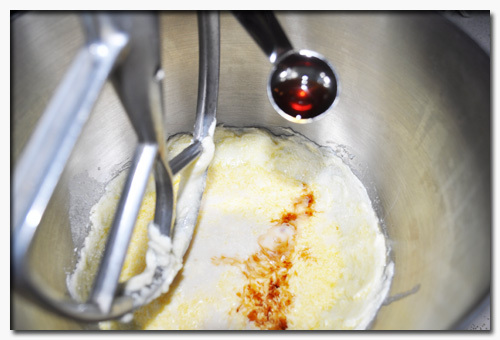 Add the cinnamon ripple mixture to the muffin batter. 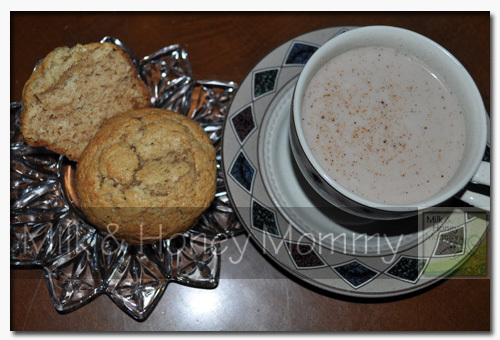 Using a spatula or wooden spoon, blend the cinnamon ripple mixture and muffin batter thoroughly. 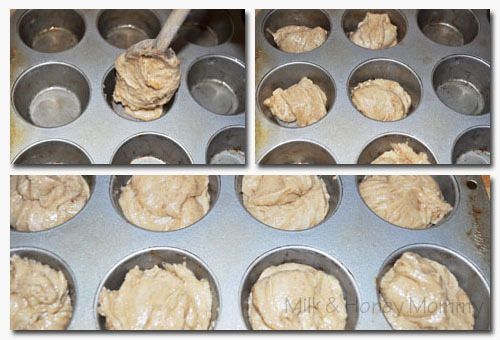 Evenly spoon the batter into a muffin tin and bake for about 15 minutes. 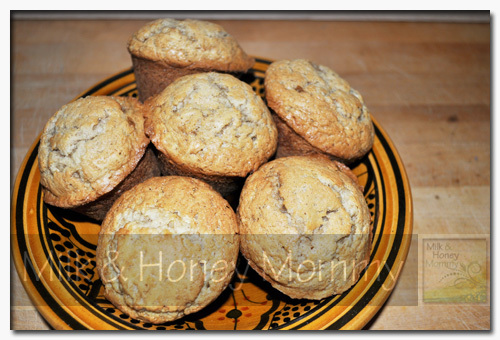 Periodically check the muffins after they have baked for about ten minutes to be sure they are not baked too long. 1. 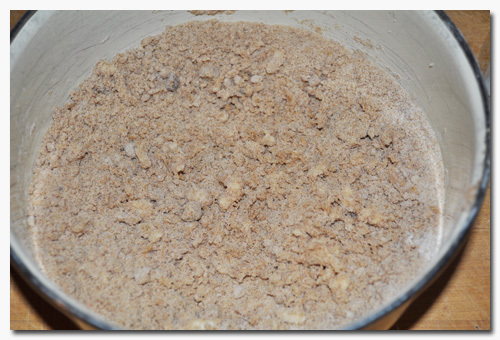 Mix flour, baking powder, baking soda, and salt in a small mixing bowl and set aside. 2. Add the butter and sugar and blend well. 3. 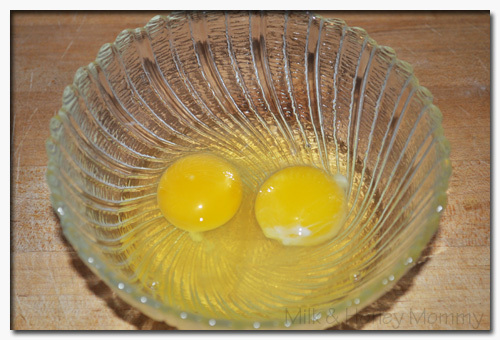 Add the eggs, milk, and vanilla extract in a mixing bowl and mix well. 4. 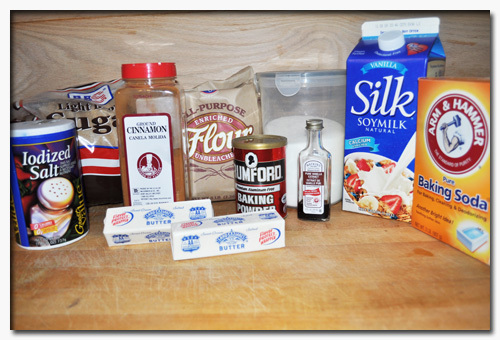 Add wet ingredients to the dry ingredients and mix well. 5. 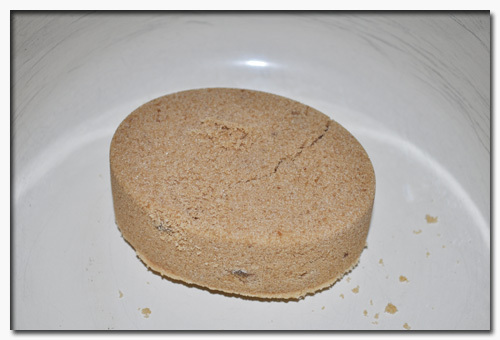 In a small bowl, blend brown sugar, butter, flour, and cinnamon well. 6. 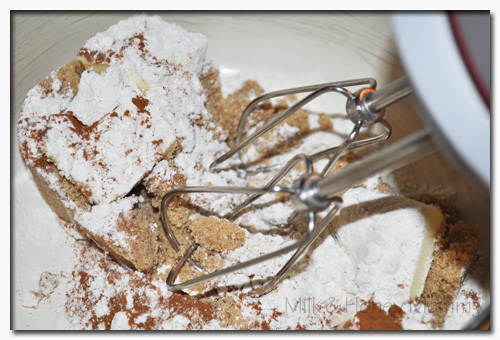 Blend the cinnamon ripple mixture and muffin batter together by using a wooden spoon or spatula. 7. 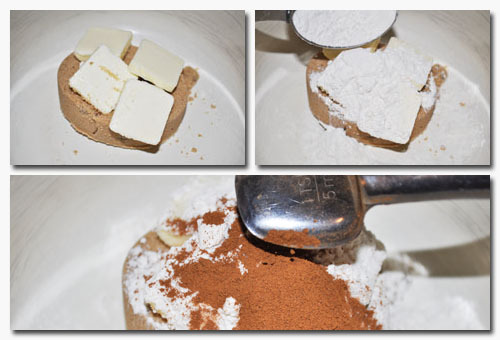 Spoon mixture into a muffin tin and bake for about 15 minutes. 8. Allow to cool on a rack for ten minutes and serve. You shame me. I’m a vegetarian too, but can’t seem to move away from the eggs (and dairy – mainly cheese), which is why I believe my dreams of becoming a vegan will never be realized. That’s why I’m an ovo-lacto/lacto-ovo (whichever designer name you choose) vegetarian. 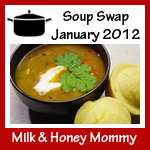 Please share your conversion w/me when you have a chance because I would be willing to try it. I was 14 when I started. It was the one New Year’s resolution that I’ve kept for so long. The first year I ate seafood & eggs. Then my dad said to me how are you a vegetarian and eating seafood, they are animals too. So a year later I stopped eating seafood. I use to love shrimp, crab legs, lobsters. Then 6 months after that I stopped eating eggs because I saw them as little fetus. So my whole thing back then was it’s wrong to eat animals. That was 1993. My grandmother thought I was in a cult. Now it’s just part of my lifestyle. Everyone around me eats meat. My husband is a steak & potatoes man. He tried being vegetarian for 1 week, but didn’t like it. But he’s pretty good, he doesn’t eat meat that much, he eats what I cook & if he wants meat he cooks it. My baby (15 months) eats chicken & turkey, no red meat. I didn’t want him eating any meat, but had to comprimise with my husband, so no red meat. And he just started eating meat at 12 months. I don’t feed him meat at all. When I’m feeding him it’s all vegetarian-LOL. When my husband feeds him, he’ll give him chicken. He has this thing where he doesn’t want his SON to be vegetarian unless he makes that choice when he’s older. He even said to me our daughter can be vegetarian-he’s so funny. I don’t eat anything with eggs in it either. I check the ingredients on everything. I use tofu instead of eggs. 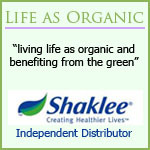 I mix it in a blender with a little bit of water, and it makes a nice thick mixture. I use this for cake’s etc. I tried to do vegan, but I didn’t like the vegan cheese, it was weird & nasty. And I’m so glad for SILK soy milk, I even have my grandma & great aunt drinking it. Back in college I use to drink Eden Soy, it was nasty to me, but I got use to it. I don’t drink milk, because I can’t stomach it, but I can eat ice cream, and eat cheese. My motto is you don’t kill a cow for it’s milk. How long have you been vegetarian, and what made you decide.